Holy crap, I sure need all these packages, domains, and features! For some reason, GoDaddy would not let me do a domain search for f***godaddy.com or even godaddysucks.com and ihategodaddy.com. What the hell just happened to my freedom of free speech? 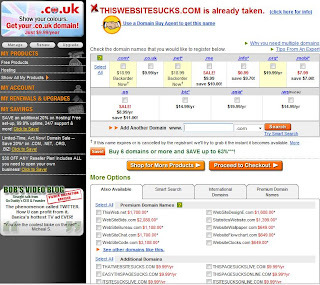 Thankfully, I was able to make awesome domain searches such as thiswebsitesucks.com and aborttheinternet.com. 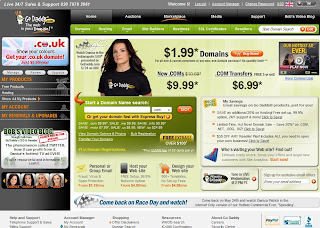 Due to my inability to make any domain search with "godaddy" in it, I reckon it would be pointless to use it should I ever want to register letmegodaddy.com or dontgodaddy.com although the latter have absolutely nothing to do with GoDaddy. Bottom line? I even forgot what the bottom line is.